Nuclear reactions involve the interaction of particles or photons with the nuclei of target atoms, resulting in the production of radioactive atoms that can be used in medicine for diagnostic or therapeutic purposes. The guiding principles and methods of radionuclide production are explored in this chapter, with a focus on reactor- and accelerator-based production. With few exceptions, nuclear reactors are used to produce neutron-rich nuclides that are mainly of interest for therapeutic radiopharmaceuticals, while cyclotrons are used to create proton-rich nuclides, which are of interest for diagnostic purposes. Additionally, generator systems and photonuclear production are briefly discussed. Included in this chapter are the practical considerations made when designing targets for radionuclide production, as well as simple tools used for predictive modeling of target behavior. The expansive combination of target materials and production methods has led to a wide range of possibilities for the development of new and exotic radionuclides—creating the framework for a well-equipped toolbox of radiopharmaceuticals. National Academies of Sciences, Engineering, and Medicine. Reducing the use of highly enriched uranium in civilian research reactors. 2016. https://www.nap.edu/catalog/21818/reducing-the-use-of-highly-enriched-uranium-in-civilian-research-reactors. Accessed 31 Oct 2017. Holloway MG, Baker CP. How the barn was born. Phys Today. 1972;25(7):9. http://physicstoday.scitation.org/doi/10.1063/1.3070918. Accessed 1 Nov 2017. IAEA TECDOC 1340. Manual for reactor produced radioisotopes. Vienna: International Atomic Energy Agency. http://www-pub.iaea.org/books/IAEABooks/6407/Manual-for-Reactor-Produced-Radioisotopes. Accessed 31 Oct 2017. Koning A, Forrest R, Kellett M, Mills R, Henriksson H, Rugama Y, et al. The JEFF-3.1 Nuclear Data Library – JEFF Report 21. Organisation for Economic Co-Operation and Development; 2006. Report No. NEA--6190. http://inis.iaea.org/Search/search.aspx?orig_q=RN:45026295. Accessed 1 Nov 2017. National Academies of Sciences, Engineering, and Medicine. Molybdenum-99 for medical imaging. 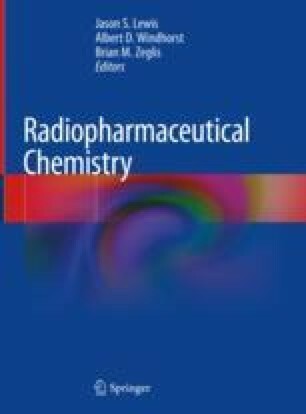 2016. https://www.nap.edu/catalog/23563/molybdenum-99-for-medical-imaging. Accessed 21 Oct 2017. National Research Council (US) Committee on Medical Isotope Production Without Highly Enriched URanium. Molybdenum-99/technetium-99m production and use. Washington DC: National Academies Press. 2009. https://www.ncbi.nlm.nih.gov/books/NBK215133/. Accessed 28 Oct 2017. Workshops on Targetry and Target Chemistry. Proceedings for targetry workshop 1985–2016. TRIUMF, University of British Columbia, Vancouver. http://wttc.triumf.ca/proceedings.html. Accessed 7 Apr 2018. Ziegler JF, Biersack JP. Stopping and range of ions in matter; SRIM. www.srim.org. Accessed 7 Apr 2018. Nuclear Science Advisory Committee (NSAC) 99Molybdenum (99Mo) Subcommittee. Annual assessment of the NNSA-material management and minimization (M3) 99Mo program. 2016, November 3. https://science.energy.gov/~/media/np/nsac/pdf/docs/2016/Mo-99_NSAC-approved-2016.pdf. Accessed 21 Oct 2017.